Entering "Thank You For Closed Business" Slips Online – BNI Connect & BNI University Support - How Can We Help You? Thanking your referral sources for closed business on referrals you have been given is an important part of the ongoing referral process. This can be done anytime online in BNI Connect by following these few simple steps. Watch this short video or proceed to the step by step guide below. Choose your fellow chapter member from the drop down list whom you would like to thank for the closed business. Enter the net amount of closed business for which you wish to thank your referral source for. For a guide to calculating the net amount of closed business, please see your chapter director or regional office. Choose the Referral Type that you are thanking for - Inside (Tier 1, a self referral), Outside (Tier 2), or a Tier 3+ (spinoff referral). Enter any comments or remarks about this business thank you. Click Save and New to submit this slip and immediately begin a new TYFCB entry. I often have transactions that are sent to me from two members in my chapter working in conjunction - the mortgage loan officer and realtor. As currently formatted, I can't enter a TYFCB to BOTH of them. I have to enter them separately. I either thank them each for the entire amount earned (which reports the same dollars twice), or thank them each for 1/2 of what I earned, which is not really an accurate reflection, either. They both sent me the transaction. How should I report this? Can the system be programmed to thank more than one person at a time for the same transaction? Hi Mike- Thank you very much for giving us the opportunity for Hi-Q to provide you with our service and MOT completed last week. If a member in my own chapter submits a TYFCB slip for someone in another chapter, I know that the other person's data is recorded with this closed business. However, does my chapter get credit for this as well as this is, in essence, letting our chapter know what our own member "earned" rather than "thanking" another BNI member for the business. Good question - If a member in my own chapter submits a TYFCB slip for someone in another chapter, I know that the other person's data is recorded with this closed business. However, does my chapter get credit for this as well as this is, in essence, letting our chapter know what our own member "earned" rather than "thanking" another BNI member for the business. Where is it recorded - the other chapter or the chapter of the member entering the data? Can you enter a Thank you for the business across regions, for example from Merseyside to Hertfordshire and Bedfordshire? At this time, cross chapter referrals are limited to only those regions within a single "business unit". In some cases that will be a single region, in others it may be multiple regions with the same Executive Director. Can you back date TYFCB so I can record all the business I have tracked since joining in November 2014? Will it upset anything? @Ingrid - because the slips also simultaneously input into the PALMS report, it is not possible to backdate these numbers as it will upset the statistics for the chapter. Unfortunately, we all start out with "0" from when we start using slips. As a 13 year member myself, I also had to start all over from when the online slips were introduced. How does a VP enter tyfcb from paper slips. My concern is that the only way I can see to enter them is on my personal page, not the chapter page. Ignore my previous question. It was operator error on my part. @Peter - thanks, glad to hear you have it worked out! Are we still able to enter 'TYFCB' for a referral that given by a former member? As I can't seem to find former members anymore? This would also apply to referrals as well? @Stacey - you can use the BNI line at the bottom of the drop down list to record closed business for a former member. There is also a VISITOR selection at the bottom of the list as well. As for all other things, like referrals, these are only recorded for those people with ACTIVE memberships. I can not submit any of my slips, TYCB or referrals. I can enter them but they always remain as a draft. How do I get this website to work correctly\? The first instruction "Log Into BNI Connect and Choose Submit TYFCB Slips" is nonsense. There is no "Submit TYFCB Slips" on the screen when you log in. The rest would be self explanatory. The missing link is the missing link still. @John - the only way to retain the FULL DETAILS is for members to have them enter the slips themselves directly into BNI Connect. @peter - one thing to note is that ALL of the words within BNI Connect are controlled by translations, meaning that even different versions of English (US vs UK vs CA) may have slight differences. That being said, I checked your profile and you appear to be using English US, so the screenshots should be accurate. If not, can you please send us a ticket or email us at support@bniconnect.com and we will be happy to take a closer look. Does anyone know if there's a way for a VP to enter Thank you for closed business online on behalf of a member who submits a paper slip at a meeting? What if the thank you is cross-chapter? I am VP of new Chapter in Manhattan BNI. A number of members are unable to access BNI Connect at the present time. How does a VP enter tyfcb from paper slips. My concern is that the only way I can see to enter them is on my personal page, not the chapter page. How can I enter these slips correctly? The DETAILS of TYFCB can only be entered by members directly using the online slips. If they are having trouble logging into BNI Connect, please ask them to email us at support@bniconnect.com and we will get them logged in as quickly as possible! Otherwise, the only thing you can enter as VP is to put the total into the PALMS report, but the details will be "lost". We have a debate going on in our chapter... When do I thank the referring member... when I close a business deal or when I get paid in the transaction. I thought the reference has done its work when I receive a purchase order or sign a contract with a customer referred by the referring member and the thanks are due immediately after that. Some in the Chapter feel the thanks should roll out when you have been paid by your customer/ client and not before. In some businesses the actual execution of the order may take a very long time. I am in a business ancillary to construction and our order execution may take well over a year. So when do I file the TYFCB slip? Hi, after a couple of test i made it seems to me that after a member enters a TYFCB, the given amount updates the total figures of business the member got, independently whether the amount is confirmed in PALMS or not, and even if the member deletes the entry before the respective PALMS-report has been committed the first time. Is that correct? If so, is there a way for the member to update the total figure to reflect the correct sum in case he entered a wrong closed business figure? If I do a TYFCB online do I also do one in person at the meeting? @ Mrs. Michelle Cooper, it is always good to thank the member at the meeting before your sales minute manager segment. The only difference is you don't disclose how much money was received. Tracking the TYFCB online helps with the reports and quantifies how much a referral is worth especially when appealing to visitors. Thanking at the meeting is an acknowledgement that makes people want to continue to refer business to you because it shows that you are grateful. Thank you very much for that important information Mrs Robin Rudisill. Can you also confirm for me if I should be entering referrals online and in person? I'm doing both right now, but wondering if its duplicating things in the "system"
You enter the referrals online and print out your weekly slips to take to your chapter meeting. The member you are referring to gets an email as soon as the referral is entered online. 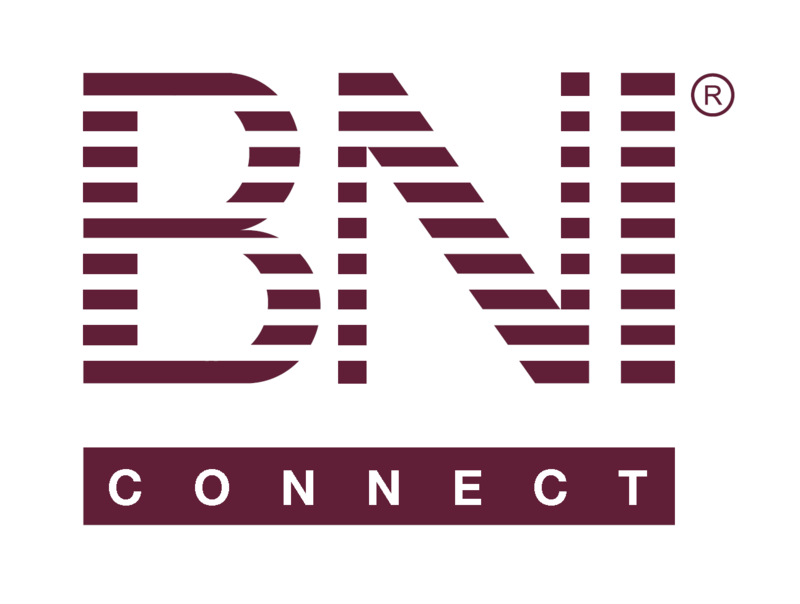 The referrals at the meeting show visitors the benefit of BNI, makes you eligible for the door prize and allows the VP to do what's called a referral reality check (making sure good referrals are being passed). If you haven't done so yet I highly encourage you to sign up for the video series that Jeremy hosts. It lasts about 30 minutes but he stays on the conference to answer all the questions.